Hillary Clinton calls candidate Donald Trump “flagrantly sexist” in her soon-to-be-released book reflecting on the 2016 presidential election. During the campaign, Clinton said Trump had a “penchant for sexism.” The celebrity real estate mogul’s comments about women sparked a number of firestorms, such as when Trump called Clinton a “nasty woman” during the final presidential debate. Clinton’s memoir “What Happened” officially comes out Tuesday, but a number of excerpts have already made waves. 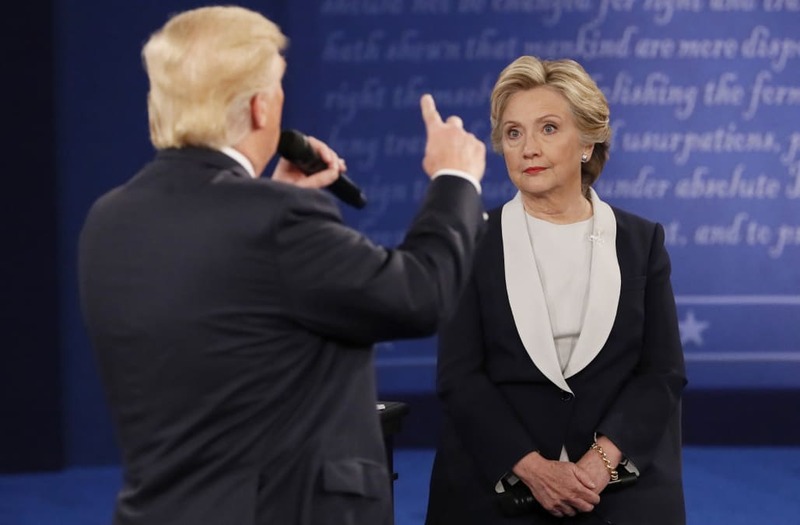 The Trump criticism calls to mind another passage in which Clinton muses about telling her opponent, “Back up, you creep!” as he loomed behind her during the second presidential debate. In an audiobook excerpt aired on MSNBC’s “Rachel Maddow Show” Thursday, Clinton also expounds upon her relationship with Russian President Vladimir Putin, whom she faced off with as secretary of state. In addition to Trump and Putin, Clinton’s tome takes on less obvious targets, like former Vice President Joe Biden and her primary opponent, Sen. Bernie Sanders, I-Vt., who she said inflicted “lasting damage” to her campaign. During an appearance on CBS’s “Late Show With Stephen Colbert,” Sanders dismissed that criticism.